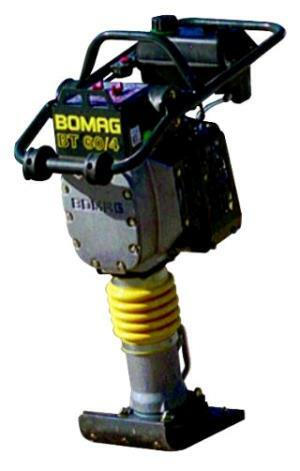 The Bomag jumping jack compactor is an ideal tool for compacting trenches, alongside foundations, and repair work on asphalt. Features include a 4 stroke gasoline engine, carrying handles, and an 11" footprint. Machine weighs approximately 150 lbs. * Please call us for any questions on our jumping jack compactor rentals in Hillsdale and Ridgewood NJ.